At any rate, I’m hooked on journey stories so I opened it up to some of my favorite travelers to share some of their stories about the journey. Enjoy! Weren’t those fantastic stories? I’ll bet you have had some great experiences while you are getting from one place to another. Tell us about it in the comments! The act of moving is so inspirational to me! With its feeling of going somewhere new, someplace you’ve never been before to explore, to discover. It doesn’t matter that others were there before you, it’s new to you and that is exciting. I envy those folks that are traveling full time that really have the luxury of enjoying the journey. I love reading the adventures of people who are hiking, biking, motorcycling, rickshaw driving, or sailing all around the world. What guts they have! What stamina! You know what I mean. Some people abhor the actual getting to a place. They have a vivid vision of where they are going, what they are going to do once they get there, and don’t want to mess with the in-between, the wasting of precious vacation moments just getting there. I often fall into this category as well, as I have to get back to work after the vacation is over, but since I love the “going” part so much, I really try to make the most of it. We have racked up many trips where the mode of transportation was an essential part of the trip. Riding in an old Russian army van across the steppes of Mongolia is one such trip. 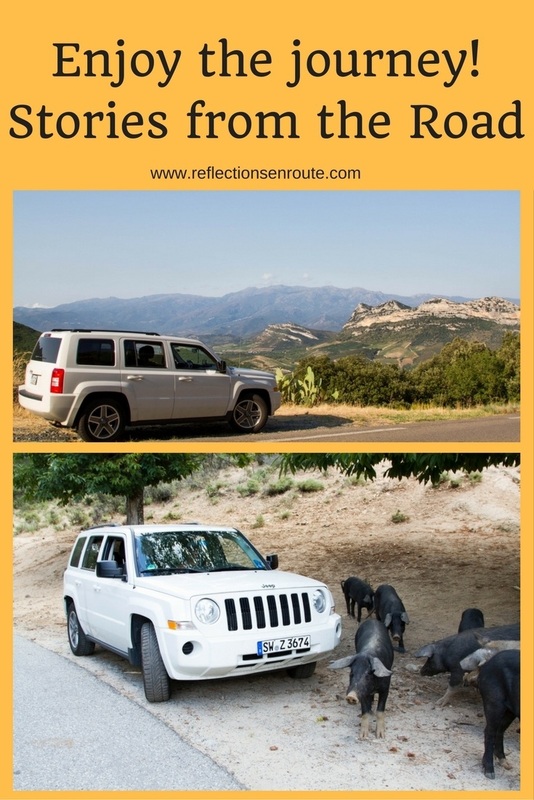 From no roads, to nomads shearing sheep, washing in public showers, and sleeping in gers, we could have never done this by renting a car and heading out on our own. Of course we love to take the car, or rent one, and head out into the countryside to pay attention to the little details, the scenes or people that I wouldn’t come across if I’d taken an airplane or even a train. Small towns, villages beckon me. The rural farms, folks who live off the land, wide-open expanses inspire me. We’ve had such great experiences on every single one of our road trips, even the one in Eastern Turkey where we got in a huge car wreck. 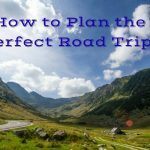 Some of the best road trips we’ve taken were everywhere from driving the Dalton Highway in Alaska, to Iceland, to Scotland, to Armenia, and of course most recently in Uganda. Some road trips are pretty easy and straightforward, and sometimes you can’t find any gas stations, which was the case for us in Malaysian Borneo. Another thing we love is taking a ferry, a car ferry. 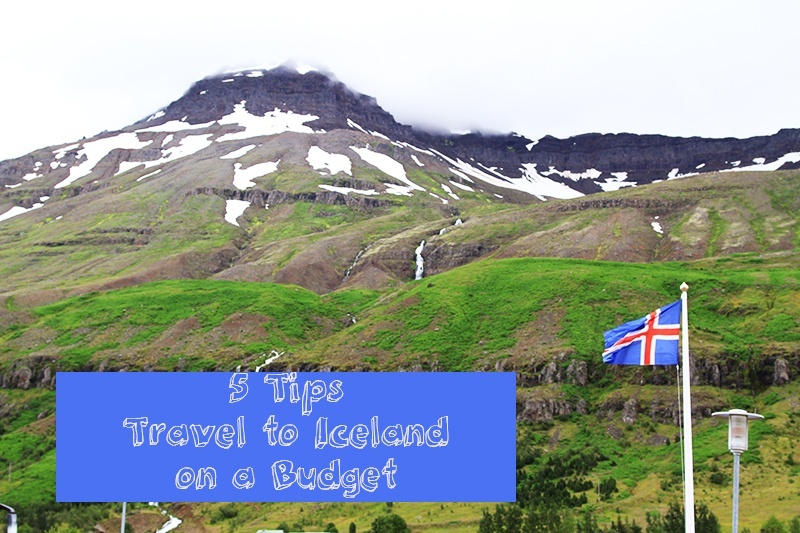 We’ve done this at all times of the year, sometimes extremely spontaneously like in Sweden, and other times we’ve had to book a year in advance in order for everything to work out, like when we booked the ferry from Denmark to the stunning Faroe Islands. One of our favorite things to do is take the Alaska ferry (Marine Highway) from Bellingham, Washington to Alaska and sleep on deck. And our latest ferry trip was just a day trip from Tallinn, Estonia to Helsinki, Finland. We loved that one so much we plan to go back this summer and do some more. Sometimes the journey does not go as planned, but then it’s just that much more memorable, like the time I was kicked off a flight for the ever-important fish roe, but, no matter what, I love it. I feel like I should have been born hundreds of years ago, when travel was all journey. I use to marvel about this when Jim and I would visit the caravanserais of Turkey along the silk road. Then again, who knows? Maybe I was there. My husband and I signed up for the kayaking club during our expedition cruise to Antarctica. I expected this to be a pretty cool activity, but I could not have imagined how sublime and dramatic it would be to kayak among the icebergs both small and enormous, paddling through the reflections of snow-covered mountains, seals and penguins on icebergs watching us pass by, and swimming penguins jumping out of the water all around us as dolphins do. One day, we were to kayak around Orne Island. The channel between the island and the mainland was full of fast-moving icebergs. And though it would have been exciting to paddle through them, our guides decided the risk of getting “Shackletonned” was too high (our term for getting trapped and crushed by moving ice as the famous Antarctic explorer Ernest Shackleton’s ill-fated ship, The Endurance, did). So instead, we paddled into a small harbor straight ahead of us. I was so happy for this. So we sat in an uncommon serenity. Silent. Silent. One minute passed. Then “phwooooofffffff.” We perked up and looked around. A few seconds later, it came again, like somebody blowing out a cake full of candles — a forceful rush of air breaking the crystal silence. The unmistakable sound of a whale clearing its blow hole. Everyone held to the three-minute code, and we watched as the whale passed behind us into the harbor’s culdesac. I was bursting with delight. A whale was the one thing I hoped most to encounter while kayaking. We’d seen one another day, a fair distance off, but this one was much closer, and we watched it over several minutes as it circled completely around our little pod of kayaks in the harbor and then swim out the way we had paddled in. What a special experience, which wouldn’t have happened to us if we had paddled around the island. I should have known better than to get on that sail boat to go from Panama to Colombia via the San Blas archipelago. But a bunch of people I knew had done it before me and it looked amazing – clear waters, deserted islands, lobster for lunch, silence… Besides, I grew up in Sardinia, I love the sea and all things water, and this would be my chance to come close to the only recognized indigenous people of Panama – the Kuna Yala. Never mind the chance of getting sea sickness: surely, that wouldn’t be anything that a few pills wouldn’t cure, right? And in any case, after a short while I’d get used to the rocking of the boat and feel ok, wouldn’t I? It took me around a minute to understand that that sailing trip wouldn’t be nearly as much fun as I had hoped for. 10 persons staked on a 12 meters boat (wait, hadn’t the captain said there’d be 6 of us?) meant that there was hardly any space for movement, let alone enough decent sleeping space for all of us. 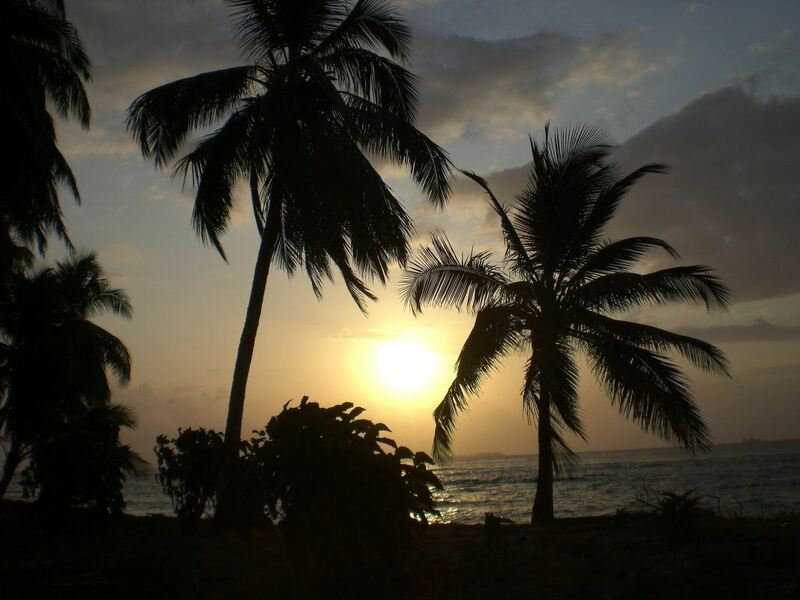 But I stayed, because once we’d be in San Blas, the beauty of the place would make me forget about any other issue. The minute the boat left Portobelo Bay, the gates of hell opened for me. At first, the 2 meters Atlantic waves were interesting – if not fun. Ten minutes into it, and the hopelessly slow motion of the boat started affecting me. I popped down my first dramamine pill. It didn’t help. I sat down with everyone else, on the deck, as everything inside the boat fell from one side to the other. One hour went by without feeling any better. Then it turned into two, three, four hours and on. I took a dramamine pill every two hours, and I’d feel a tiny bit better for about 10 minutes. Then I’d be sick all over again. The others were all ok: they ate tuna sandwich, the smell of which made me sick all over again. They put sun lotion on, the smell of which made me even more sick. They played card and dice games while I set at the back, shivering, covering myself with my sleeping bag, unable to move. In the more than 12 hours it took us to reach Isla Porvenir, the first stop in the archipelago, I only stood up twice, to pee – which I had to do in the hole of the helm, while everyone else looked elsewhere. The minute we anchored at Porvenir, while it was pitch dark, I stood up and told the captain I was off: I didn’t intend to spend one more minute on that boat. We loaded the dingy, and in the darkness we landed in search of a place where I could sleep and feel better. Trouble was, there were only two places with rooms on the island (which must have counted no more than 30 inhabitants). The first one I went to was full, and the night porter decided that he’d ask the chief of the island to help me out. Pity that he wasn’t exactly friendly, and as a welcome he started reciting all the articles of the Constitution of the Kuna Yala I had broken by landing without permission. He took mercy on me when, in tears, I asked him whether the constitution didn’t have any article that stated you should help people in need. That’s when he agreed to let me pitch a tent under a palm tree behind the airport (no more than a short line of concrete). Exhausted, I wondered what else could go wrong that day – that’s when it started raining. But I was so sick and tired, that I slept through it. The morning after, I woke up to a splendid sunrise. I didn’t get back on the boat but moved to a room in the local hostal, and spent a few days just relaxing, to then make my way back to Panama City via a fast boat (and without experiencing any sea sickness) and get a flight to Cartagena. I always prefer to hitchhike, rather than take buses and such, as I meet the most interesting characters. Every once in a blue moon, however, I find a new friend who will stick with me long after the ride has ended. This is what happened with Kieron, who picked me up on the side of a motorway one day in Scotland. He was out for a drive, and didn’t know where he’d end up. Five hours of amazing conversation later, and he realized he best turn back to head home. He dropped me off, and we exchanged info, but I didn’t expect to see him again. Low and behold, the following weekend Kieron wanted to adventure, so he came to pick me up in the middle of nowhere of Scotland to go for a ride. This happened two weekends in a row, and our friendship only blossomed from there. Now on my way to Mexico, I look forward to meeting Kieron once again in Guatemala next month, for his first adventure abroad. He inspired me with his kindness, while I inspired him with my adventurous spirit. 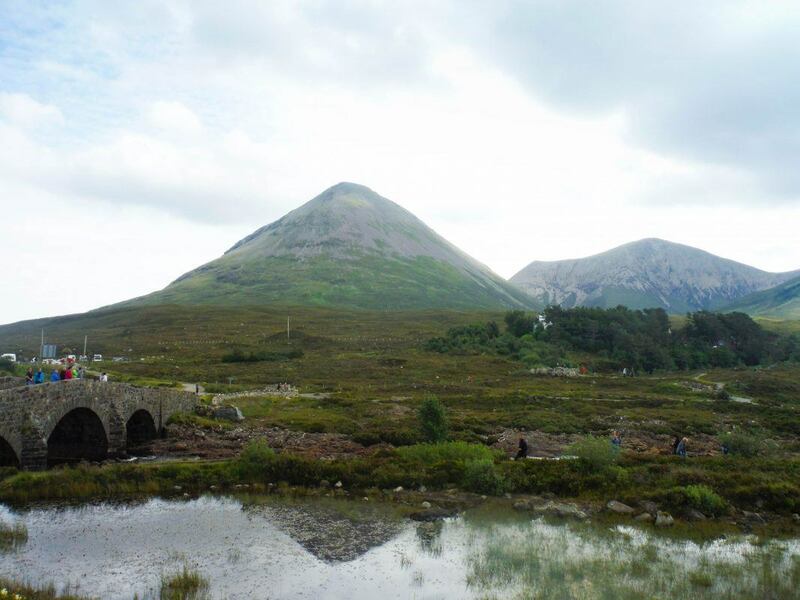 And to think – I never in a million years would have met this beautiful soul, my good friend, if it weren’t for sticking my thumb out on a Scottish highway. On our way from Oaxaca to San Cristobal de las Casas in Mexico, we took a route leading us through the small town of Nachic. As soon as we entered the town we noticed that something must have been afoot. It was much busier than in other villages; all the people were dressed in their finest; and the church was elaborately decorated with beautiful flower garlands. Since we prefer to travel in our own camper vehicle we are never tied to time tables, so we parked in a quieter side street and went to see what this was all about. 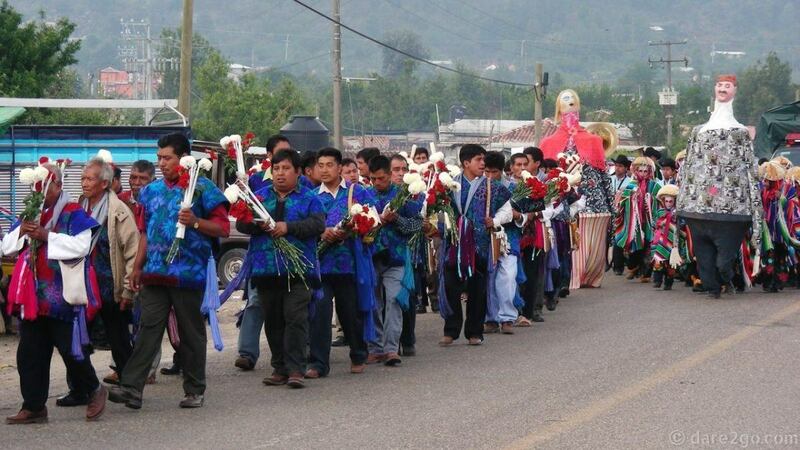 It turned out it was the annual festival of the town’s Saint, “Virgen de Fatima”. What a spectacle it was (and hardly a ‘gringo’ in sight)! We watched a noisy procession led by the town’s men dressed up in the regional hand-embroidered blue tops. They were followed by two enormous paper mâché figures, and a group of youngsters wearing colourful costumes and wooden masks, decorated with ribbons. Later we witnessed, from a respectable distance, the elder men of the town gathering for some kind of serious meeting in the plaza. Slowly we gained the impression that it was time for us to leave and let the locals celebrate among themselves. Traveling in our own vehicle often gives us the opportunity to witness local festivities, which we would miss if we were on public transport or an organised tour. Only recently we arrived in Ollantaytambo, Peru, for their annual “Bajada de Reyes”. Of course we stayed and enjoyed! Rainy season as seen from the boat on the Amazon River in Brazil. 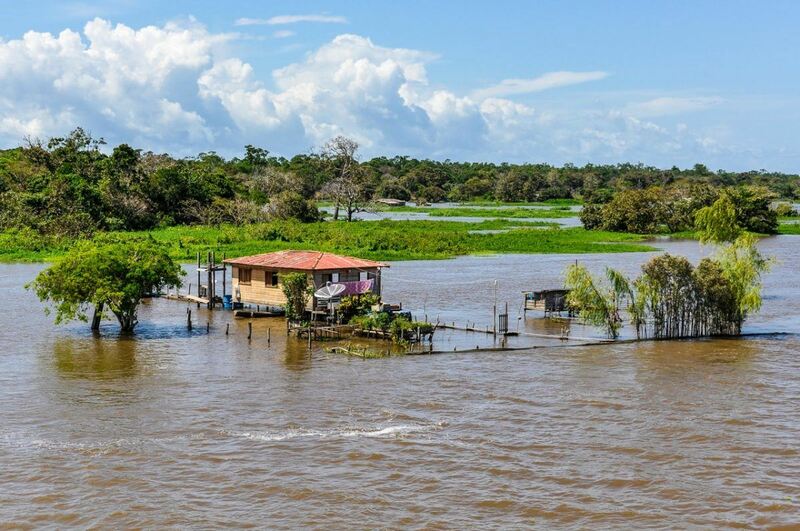 One of the most memorable journeys we have ever had was the three and a half day long boat trip we took on the Amazon River in Brazil between Belém and Santarém. These boats that serve as public transport for the local people don’t provide luxury at all. There are two options for travelers, they either sleep in hammocks on the deck or pay for a very small cabin. The boat trip was scheduled to last two and a half days, but the current of the river was very strong (it rained a lot that year), which made the voyage much slower. The crew on the boat was the most horrible you can imagine. They never wanted to give us information on anything (although we are Spanish speakers and understand Brazilian Portuguese almost perfectly), in the canteen they always gave much smaller portions to the few foreign tourists than to the locals, and they always looked at us with contempt for some reason. Nevertheless, even though the voyage was long and sometimes a bit monotonous, we enjoyed every single moment of it. We spent hours on the deck just contemplating the beauties of the Amazon Rainforest. 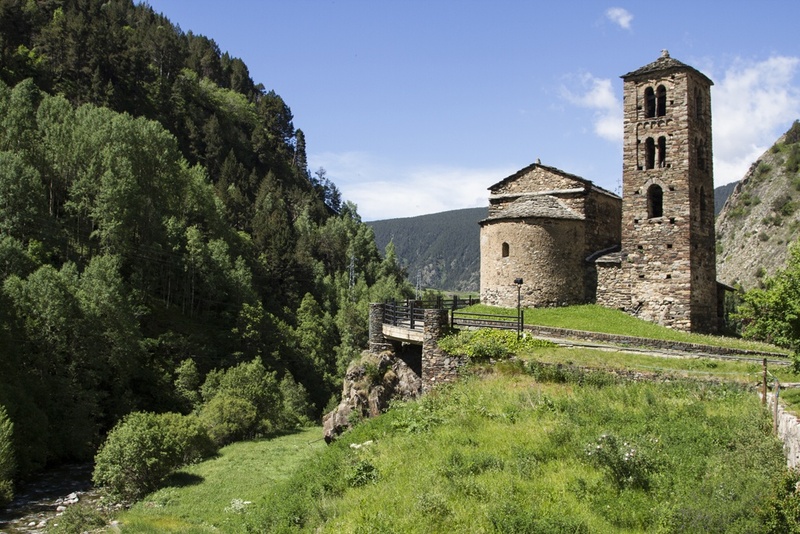 Apart from the marvelous natural scenery, we also had the chance to look into the life of the small riverside villages. We made some really great friends on this trip and every evening we enjoyed together the magical sunsets in the Amazon. On the last morning, we were even lucky enough to see a group of pink dolphins that only inhabit this part of the world. It was an absolutely perfect way to end an unforgettable journey. 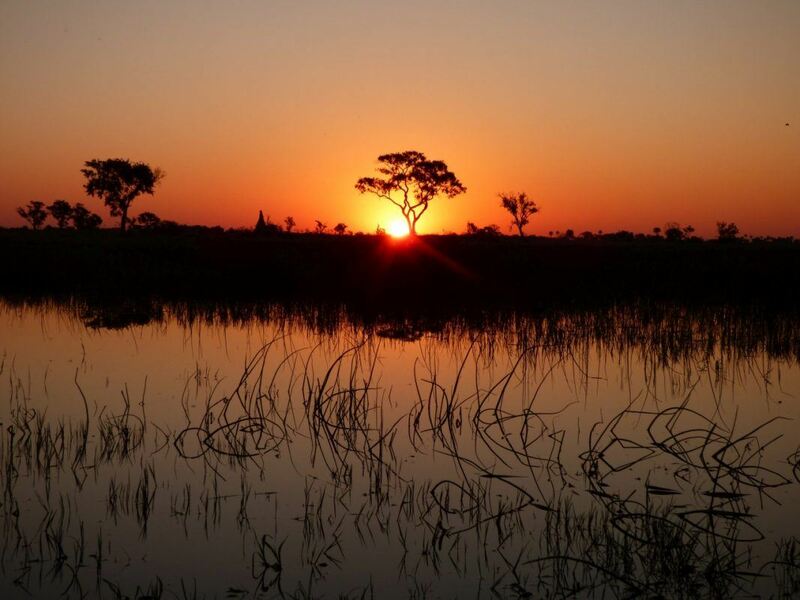 The majority of people who visit Africa do so to visit the national parks and see the “Big 5.” They stay in luxury lodges and are taken on daily game drives before being returned to their prestigious rooms each night to watch the sunset whilst drinking sundowners. Sounds like the perfect holiday right?! Well, yes and no. If you want to experience Africa outside the lodges, you need to travel overland. Overland journeys (particularly on group tours) involve crossing the continent in a converted truck which carries your tent, kit and cooking equipment. You can drive whole days without seeing another car – but the landscape is something you can look at all day. You stop in tiny towns to buy groceries, and speak to locals whom you would never had the chance to meet otherwise. You cook under the stars with a combination of gas and wood fire. You visit places you would never have known about had it not been for the locals guiding you. You go to sleep surrounded by the silence only a remote bushcamp can bring, and rise when the grass is still wet with dew as you watch every sunrise as if it’s a clip from The Lion King. Traveling overland through Africa changes you. You learn that you don’t need half of the things you thought you did. That you actually enjoy being disconnected from the never ending stream of social media and negative news coverage. That you can make delicious food whilst preparing basic ingredients from a trestle table and wearing a head-torch for light. And that (for me, at least) camping without a traditional bathroom and hot water really isn’t so bad! 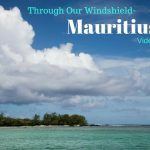 Overlanding in Africa is truly about the journey – and one I hope everyone gets the chance to take! I had heard from everyone that public transportation in Albania could be difficult. Up until this point, I hadn’t found this to be the case. That is, until I tried to transfer buses in a tiny village called Milot while trying to get to Kosovo. There was no bus stop to be seen, which is typical for Albania. We confirmed with a few locals that, indeed, a bus to Kosovo does pass through here. But we waited and waited, and nothing seemed to be happening. The rain seemed to be about to pick up, so my travel buddies and I decided to create a sign to try to hitchhike our way to Kosovo. A few minutes later, two college-age guys stopped in a gorgeous 1998 Audi to pick us up. 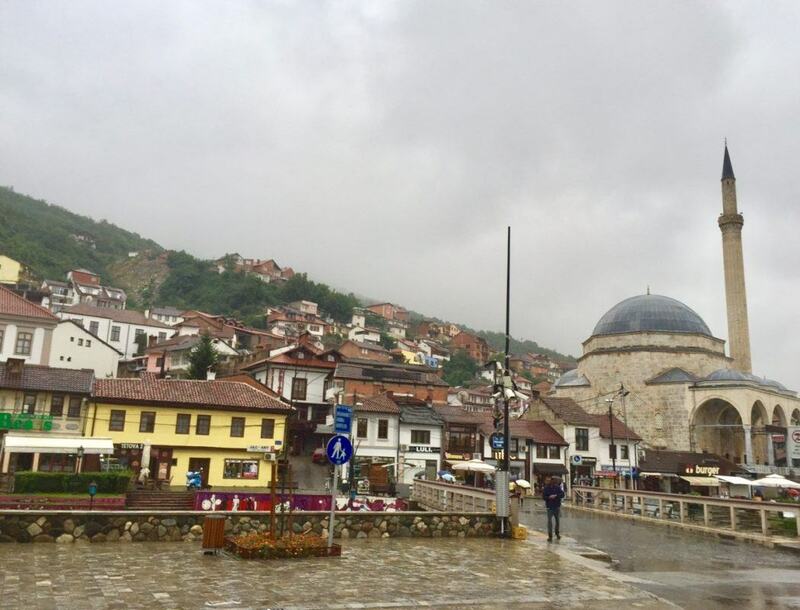 They didn’t speak much English – and it goes without saying that none of us were masters of Albanian – but we were able to deduce that they were headed towards Kukës, a town near the border with Kosovo. So we got in, figuring it got us closer and it’d be much easier to continue making our way to Kosovo from there. The guys couldn’t have been nicer. When we stopped for gas, they insisted on buying us all sodas, then shared a delicious cornmeal cake for lunch that they had picked up along the way. They weren’t satisfied until we had each taken a piece, and I won their eternal favor when I accepted a second slice. We continued along the beautiful, foggy mountain path towards Kukës. They pointed out the highlights of their hometown, which we quickly passed through. 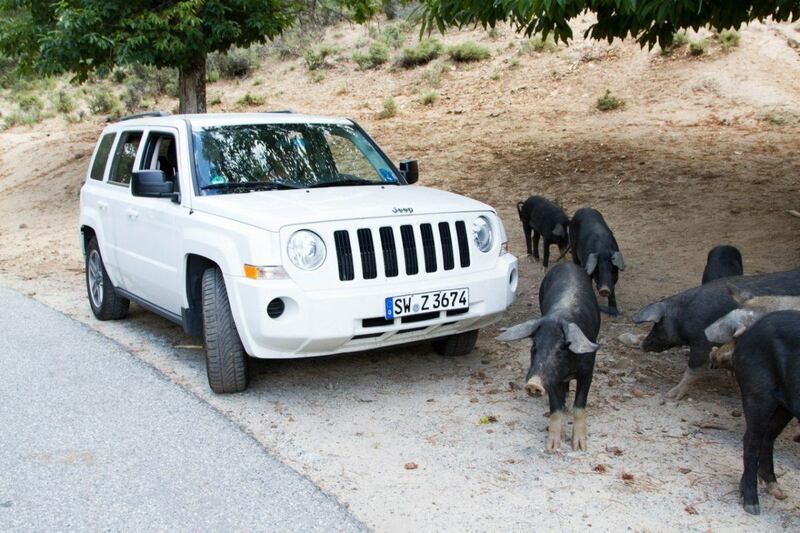 I became confused – weren’t they taking us to Kukës? As we drove past, we became nervous and began to talk amongst ourselves. The driver turned around to look at us and said “we take you all the way.” These guys crossed the international border with Kosovo for us, drove us 30 minutes out of their way, and dropped us off right at our destination. They refused our offers of a beer or coffee, accepting only a smile and a handshake, before they drove off. I had heard legends of Albanian hospitality before; this certainly proved them all true. Sometimes, just when things seem as if they’re going wrong, the world has a way of making them right again — if you just open your heart and trust in people. We chose to drive around in the state of Rajasthan in India to experience monsoons in what should arguably be the driest state in the country. Surprisingly, we crossed several regions which were facing floods due to torrential rains. On our journey we ended up discovering a local Deity called Om Banna – a local who met with an accident and whose soul had supposedly transferred to his motorcycle on his passing. Local folklore said that despite the best efforts of the authorities to lockup the motorcycle in an impound, it somehow always found its way to the site of the accident and next to where Om Banna was cremated. This motorcycle is revered by all travelers and drivers passing through the region who make it a point to show their respects to the motorcycle enshrined in a glass box. Another surprise among the many in this trip was coming across a fair in the middle of nowhere. 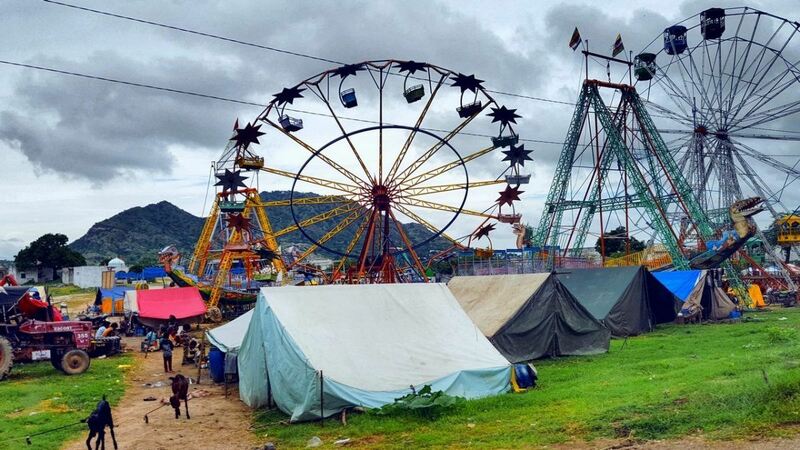 The fair had many a colourful merry go rounds, ferris wheels and other rides one would normally associate with one in a city but never in a place with no villages, towns or cities for miles. We never sat in any of the rides but wish we had stopped to explore it a bit instead of speeding through. Being one of the solo travelers, I hardly ever travel with other people. But last year brought me one lesson: I got to learn that trips and experiences are sometimes more meaningful when they are shared. 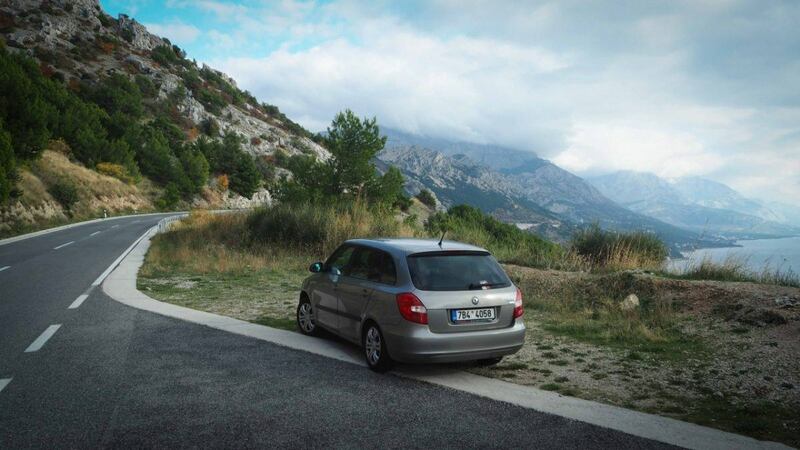 It all started with luck: I won a contest and the award was trip to the Balkans. I could go anywhere for the period of 8 days and I get the budget to do so. Any place, any itinerary. 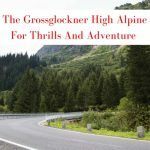 But the problem was that this trip had to be completed by the end of the year – there were still about three months left, but the winter was slowly taking over Europe, with all the cold and mist. I decided for Croatia since it should be warmer and after several family holidays, I know my way around. Since my father knows a lot about Croatia, I consulted with him things to do there: and it turned out with him joining me. During our Croatia road trip, me and my father traveled along the stunning Adriatic coast all the way down to Dubrovnik, our favorite stop. When walking the city fortifications (the main sight) I realized how happy I feel about the time we spend together. Both of us enjoyed the trip, but experiencing something special together is really nice even for a father-daughter relationship. Without him, the trip would never be the same. Pin the Journey for later! We are just like you! 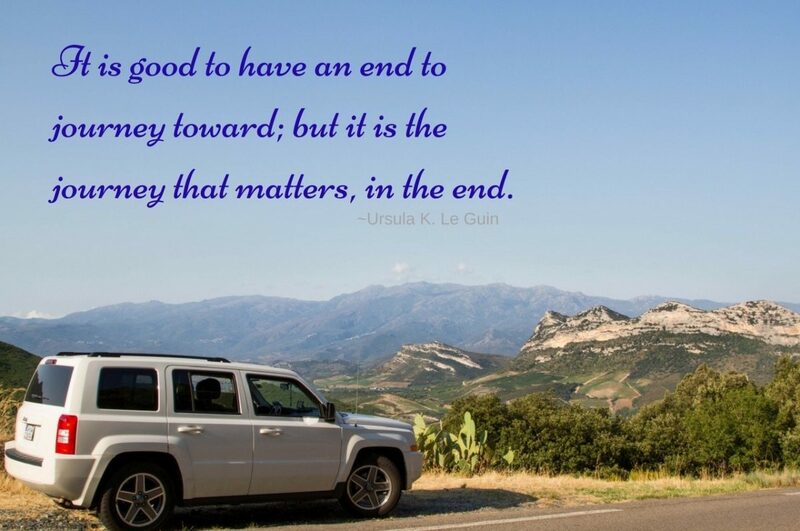 In fact we always rent a car because we love road trips, it’s all in the landscape around us, experiencing the weirdest things and just enjoying the view! Dany, It’s the best way to travel! What a great idea for a post! Loved reading the stores of other travelers! Specially Dani’s hitchhiking stories! Wow…this post is brimming with inspiration. Such fantastic journeys documented here. Good job. 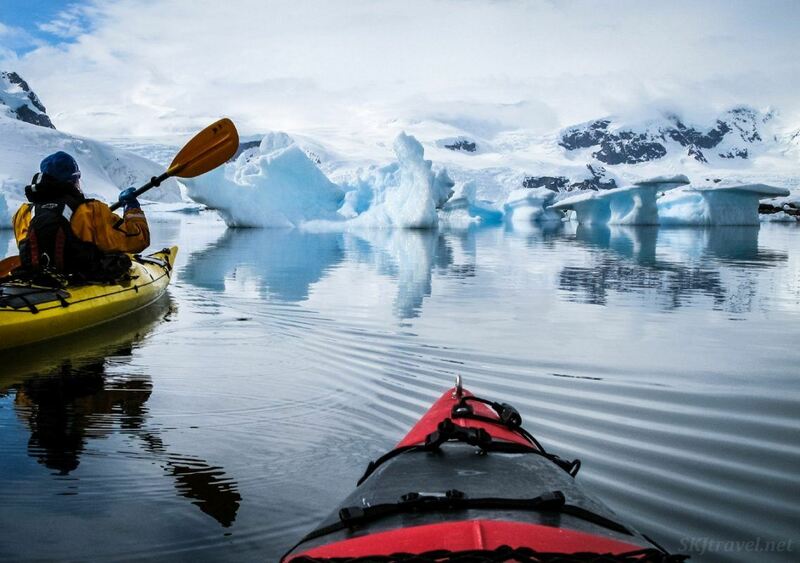 What a cool post, I would love to do Kayaking with Icebergs. I bet thats so cool. Im adding that to my bucket list. Kevin, You and me, both. My dream…. Adventurous articles one after the other. This took me on an adrenaline tour. Such beautiful journeys and offbeat destinations, made me very jealous! Love this I too love travel stories they bring everything to life! These are awesome thank you for sharing! Thank you for stopping by Stacey! Elisa, It’s not bad traveling along by car in Uganda. We had no problems at all. Thanks. It would be an awesome experience, wouldn’t it?! Carmen, Thanks for stopping by! Jenn, Thank you for the compliment. I do agree road-tripping through the USA is a must! Oh I wish I had participated with the accidental pilgrimage through four Balkan countries!